Barbridge - a Memory of Barbridge. I can remember visiting my grandparents at Barbridge as a small child. In the early 60's my grandparents name was Poole and they lived in the end house nearest to the pub. Grandad worked for British Waterways and the garden went straight up to the canal. The people next door were called Bunn and I think Mr Bunn worked with my grandad - Mr Bunn had a daughter called Sandra. My grandad had an accident at work when I was 3 and unfortunately did not survive. I can remember running up the road to the shop as a small child and remember the house that my grandparents lived in very well. My grandma lived at the house with my aunt until the end of the 70's or early 80's. My grandma and aunt Minnie went to live in Nantwich after grandma had a bad fall and coulnd no longer live in the house. A memory shared by Carole Marsh on Oct 28th, 2007. Send Carole Marsh a message. I am tracing my family tree on my mother's side. I believe that my Grand Aunt used to live at No1 Bunces Cottages, Barbridge in 1939 (Kathleen Jones....husband called Arthur Jones). I cannot find any Bunces Cottages but wonder if you have ever heard of them? 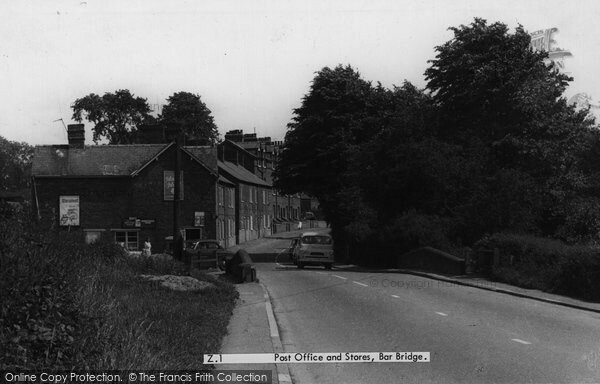 I know that you say you remember Barbridge in the 60's and so you are too young possibly to know? My Grand mother (sister to Kathleen) lived in Wardle and I remember walking along the canal to go to Barbridge when I was little (late1960's and 70's)....very fond memories. My gran was Margery Lockett and used to go to the chapel in Barbridge. If anyone has any information about the Spann (Kathleen) or Jones family I would be very grateful. Hi , my name is Denise Stevens . My maiden name was Wilson. I moved to Barbridge in 1968 at no 4 mill pool lane. I remember bunnces cottages and your great aunt Kathleen jones. I believe her daughter used to live in the house we moved into , bob jones was Kathleen's son and he came to my house a couple of years ago when he was 80 as he was also born in my house . Bunces cottages are no longer in the village they where knocked down in the 70 s, as my brother lived next door but one to Kathleen jones. I also remember you gran mag locket who was married to bill locket. hope this is of some use to you . Add a memory of Barbridge.